It's Monday and that means a fresh start of a brand new week. This also means a brand new patch in New Z! Who's excited? This patch we have done a lot of changes and tweaks to the Competitive game-mode, we have given Caliwood a brand new look and we have done our usual fixes and improvements. Next to all of that this patch contains some event related content for upcoming St. Patrick's day (more information will follow later regarding that btw.) Now, without further ado let's jump into the patch notes! Grenades have been disabled on "Sniper Only" / "AR Only" limited servers. Fixed the HUD translations for "Clan Territory". It was not showing in some languages before. Crouching "footstep" sounds are now properly synced with the character. Updated / Improved the render distances / LOD distances of newly made LODs for the Caliwood models added in previous patch (patch 2.19). We will keep improving this based on further observations and feedback from the community. The render distance of the military tents has been increased. Updated the Community Box. This box is now legacy so the legacy icon has been added. Fixed an issue related to the ACOG sight. In first-person this sight wasn't centered when using with a rifle laser. This has been fixed and the sight has been adjusted back. Fixed an issue related to the SVD Shark Attack skin where, when players attached a different scope, the shark attack skin would dissapear. You can now properly attach scopes to this skin again without the skin disappearing. Fixed an animation problem with the Riot Shield Stinefelt. Added a new country Riot Shield of Japan. Added a new skin for the Sig Sauer 556 called: "Sig Sauer 556 Solari". Added a skinned version of the iron sight to the skin FN Scar CQC Australia. Added a skinned version of the iron sight to the skin FN Scar CQC Autumn. Added a skinned version of the iron sight to the skin FN Scar CQC Banana. Added a skinned version of the iron sight to the skin FN Scar CQC Battle Royale. 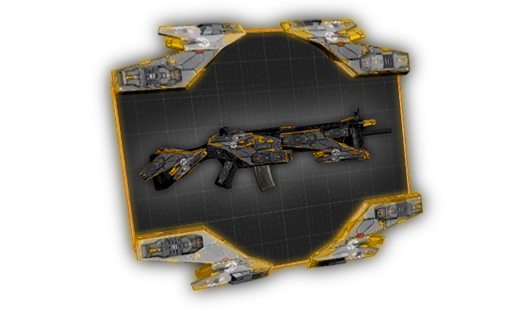 Added a skinned version of the iron sight to the skin FN Scar CQC Camo. Added a skinned version of the iron sight to the skin FN Scar CQC Christmas. Added a skinned version of the iron sight to the skin FN Scar CQC Chrome. Added a skinned version of the iron sight to the skin FN Scar CQC Danger. Added a skinned version of the iron sight to the skin FN Scar CQC Elite. Added a skinned version of the iron sight to the skin FN Scar CQC Halloween. Added a skinned version of the iron sight to the skin FN Scar CQC Ink. Added a skinned version of the iron sight to the skin FN Scar CQC Iron. Added a skinned version of the iron sight to the skin FN Scar CQC Melon. Added a skinned version of the iron sight to the skin FN Scar CQC Party. Added a skinned version of the iron sight to the skin FN Scar CQC Smiley. Added a skinned version of the iron sight to the skin FN Scar CQC Tiger. Added a skinned version of the iron sight to the skin FN Scar CQC USA. Updated the Alien Skinbox with the newest skinbox model. Added some reworked skinbox models. Improved the overall shadow quality. Fixed some spawns around NATO Military Base where players were spawning inside trees. Some smaller changes to the tree render settings have been made to improve performance. 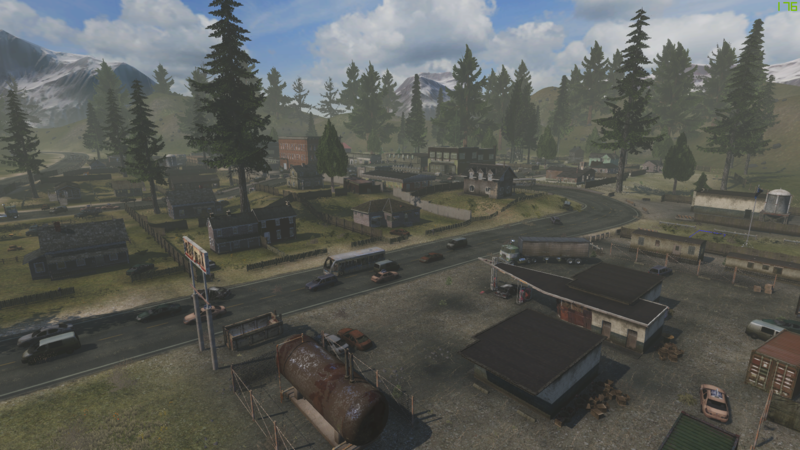 Reverted back to the original Caliwood; places such as West Oaks and San Pavel are now back on the same map. Improved the render and LOD distance of some major city buildings in the main city. 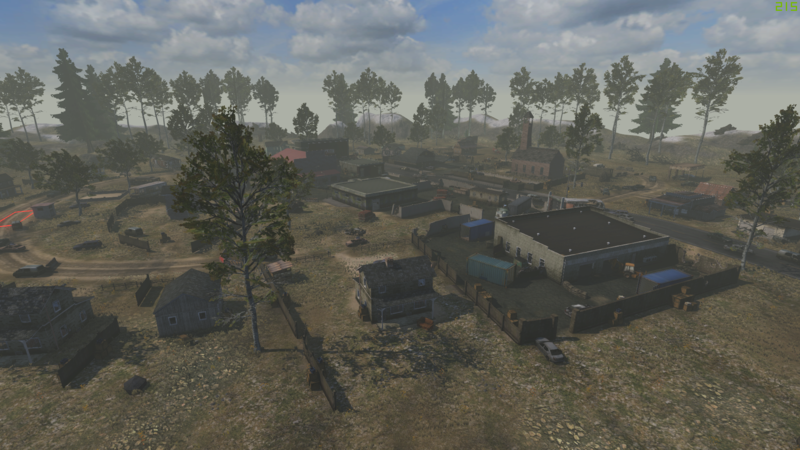 Please let us know if you experience any more issues regarding the render distances of the buildings in this map so that we can keep on improving them. Updated the overall lighting settings. Added some new POI's in the ocean such as container ships and other sea objects. Have a look, it looks very cool! Please note that since we have migrated back the original Caliwood map, there might be some little places we have missed where some objects might still be flying a little bit. In case you experience this please let us know in a comment on these patch notes, a forum thread, on our discord server or through a support ticket. Also a lot of work has been done to the Competitive game-mode. We are getting very close to a more public beta test where we will allow certain player groups to try out this new game-mode. We are very excited to show you guys more. As you will see below is that based on feedback from earlier testing we have made a Smallville and Clearview themed Competitive map. Players just wanted to have more connection to the War Z / Infestation idea so this is what we went for for now. The Competitive store has been adjusted. Overall prices have been changed and some newer items have been added. In the Competitive game-mode teams switch side every round now. Players now get a little speed boost when a round starts. This speed boost slowly decreases. Player's stamina gets reset when a round starts. This wasn't working properly before. There is now an attacking team and a defending team. The attacking team has to conquer one of the (for now) three points. The defending team has to defend them. There is now multiple contest points instead of just one. This to vary the gameplay more and give attacking teams a choice. These points will be pre-set on each map and won't randomly change. Attacking teams can choose any of the 3 points when ever they want during a round. Added more objects overall for players to have more cover behind. Object amounts have been increased significantly around contest points. Come boxes and other "jump-up" objects have been removed because it was too unfair for one side since they could get to a certain point in the map much faster than the other team. Some fences got lowered a little bit mainly around the White House. Players can no longer get on top of the garage. "jump-up" objects got removed. Players can no longer get on top of the police station. "jump-up" objects such as the bus stops got repositioned. Improved the overall quality of the lighting. Fixed a player spawn that was on top of a building. Keep an eye out on our social media channels where further announcements regarding the Competitive game-mode might follow. Stay tuned! We've lowered the spawn chances on the following items: P90 S, Bizon. We've removed the spawns on the following items: P90, P90 (50) Mag. We've removed the following items from the airdrop: FN Scar Nightstalker, Ghillie Suit. We've added the following items to the airdrop: Steyr AUG A3. Estimated patch size: Around 214 mb. Estimated downtime: Around 1 hour. We will do our best to keep it as short as possible. Excelente! Solo tengo una consulta.. El riotshield del clan LT Latinoamerica? Todavia estamos esperando con ansia. Grenades are finally disabled in pvp snipe servers !!! Other than the more 'general' stuff that's affected in all game-modes, for example models, not for this patch unfortunately. Survival players so much time wait for caliwood map how it be in the classical iss, ppl leave survival because not new palaces, but when dev tell about "so much servers for survival" , i told remake 4 servers 1 colo v1 , 1 colo v2 , 1 oregon , 1 caliwood and we see where ppl choice to play. I know so much ppl who want cali in the survival but, devs dont listen that. My friens who donate so much on this game dont see they suggestion and leave this game . Toxic SZ drop one item. Less than "normal" zombies. Sorry if this is not the best "place" to post, but here will be looked. Toggel mission hud "L" not fixed ? has anyone notice a drop in FPS with the new Caliwood. I have great FPS with all other maps (open world, premium servers, battle royale etc) but the new Caliwood is not playable FPS for me. That is normal. As soon you aim, you should do sounds. About the missojns, when I pess L, my missions are hidden.